Stealing is bad… but stealing wndows 8….? Microsoft probably won’t mind ! Stealing is wrong. Downloading software illegally, without paying for it, and then using it, is wrong. There are no two ways about it. That said, I can’t help but feel that some companies want you to break the law. Take Adobe for example, whose discriminatory international pricing scheme actively encourages piracy. Right now, Microsoft is doing everything in its power to get people to start using Windows 8. Whereas previous Windows updates enjoyed a lot of inertia, Microsoft’s new “Windows 8″ style interface is a radical break from the norm, and has garnered quite a bit of criticism. It’s so different, it’s not even clear how you can shut down your computer when using it. In other words, people are not clamoring to adopt this new system, and Microsoft has its work cut out for it before Windows 8 becomes the de-facto standard. 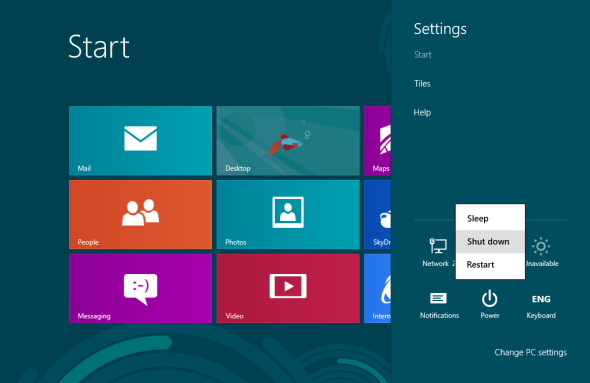 The success of Windows 8 eventually depends on one thing — will people adopt it, or not? Microsoft is betting a lot on the new-style interface, formerly known as Metro. It’s not just for Windows 8: Windows Phone 7 is using the same style interface, and Windows Phone 8 will even support some of the same apps that run on your PC. But for this ecosystem to really flourish, Microsoft needs many high-quality applications available — and these will only become available when the market is there. In other words, it is absolutely critical for Microsoft that people use Windows 8 — even more so than they buy it. This is why you can now get Windows 8 for as low as $15 — the lowest price Windows has ever been offered for. Granted, that’s an upgrade price — but even a brand-new Windows 8 installation will set you back a mere $69 until January 31, 2013. That’s when the price jumps to $199, a more traditional price point for Windows. In other words, Microsoft is doing everything it can to get you to bite into Windows 8, except for giving it away for free. I’m not convinced that $15 and “free” is all that different for a company like Microsoft, especially when you realize it stands to make money off of you even if you pirate Windows 8. This is the biggest point, really: With previous versions of Windows, Microsoft had everything to lose if you didn’t buy it. When you grab Windows 7 without paying anything, Microsoft won’t see a dime from you for years — you’re just enjoying Redmond’s hard work without giving anything back. With Windows 8, this is not so: The only way to install Windows 8 style apps (“Metro”) is using Microsoft’s new Windows 8 store. Sure — you may not install anything from the store for a month or two. Heck, you might even shun it for a whole year. 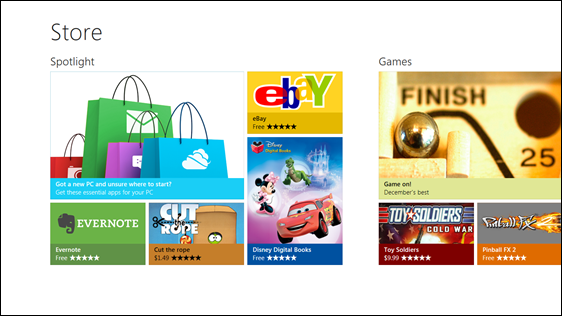 But eventually, once Windows 8 sees widespread adoption, some amazing apps and games will pop up on that Store. And you’re going to want them. And you will shell out your hard-earned cash for them, just like you buy apps for your iPhone or Android. And of course, whenever you buy something off the Store, Microsoft gets a 20%-30% cut of the proceeds, even if it’s not a Microsoft app you’re buying. So, for the first time in the history of Windows, Microsoft has a steady revenue stream off the OS that has nothing to do with initial purchase. Even if you steal Windows now, MS will still get your money later. They should have given it away for free. Really — I would not say the same about Windows 7, which has seen rave reviews during its run-up to release, all through its various leaked and released alpha, beta, and RC versions. But Windows 8 faces so many mixed reviews, and is oh so very important for Microsoft’s future, that MS should really have just given it away, at least for the first few months. It could have been like a one-time pardon for pirates: Stole Windows for years? We forgive you — this one’s on the house, now buy something from the Store. Some would say this would have made the product seem too cheap and hurt its image — “it’s so bad, they’re giving it away.” That may be a fair point — so they should have given it away using a rebate into the Store. Buy Windows 8 for $30, get $30 in Store credit. Everybody wins: You get a brand-new OS practically for free, and MS sees adoption of its new Store, and gets your first few purchases. Once you have a good first experience and make your first purchase, you are much more likely to come back for more later. By clinging to a traditional pricing model, Microsoft is shooting itself in the foot. Finally, I must stress again: I’m not saying you should pirate Windows 8. In fact, I think you shouldn’t. Thanks to Microsoft’s very public release cycle, you’ve had ample opportunity to try Windows 8 out for free — and actually, you can still try it for free (albeit with many disadvantages). And $15, $30 or $69 is not much money to spend on an OS you will likely be using for quite a bit. That said, I think you can’t ignore the way Microsoft set things up, and the clear signals it is sending. This entry was posted in computer, Current Afairs, Techmology, Uncategorized and tagged apple, download trial of windows 8, download windows 8 for free, gaming, get pirated windows 8 free, get windows 8 for free, get windows 8 without paying for it, how to download windows 8, how to pirate windows 8, how to use windows 8, how tu install windows 8, interface of windows 8, pirated copy of windows 8, price windows, software, specifications of windows 8, steal windows 8, stealing windows 8, style interface, technology. Whatever – We still need to pay! Yeah you are right…. But soon the price will be so less nearly equal to zero… that’s my opinion…Let’s see ! Thanks for reading ! Btw Are you a jounalist? No i am not a journalist…. reading and writing is my hobby ! Thanks 🙂 keep reading !